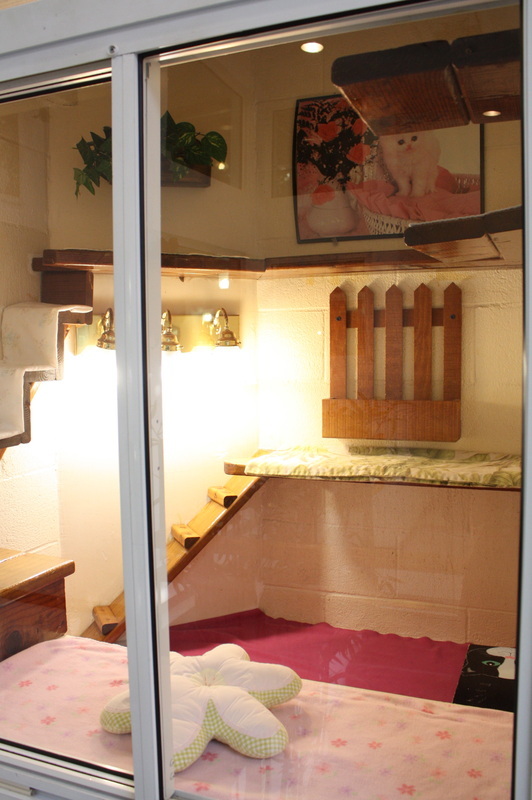 Our well-appointed cat suites feline guests enjoy peaceful, deluxe private suites, many with outside window views. 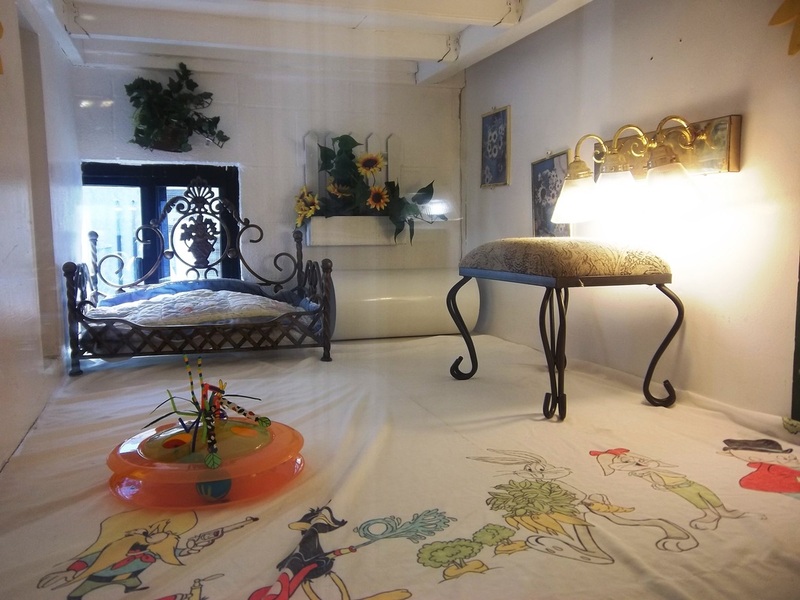 For their added enjoyment we have also provided toys, furniture, aquariums and specially designed climbing structures for their amusement. 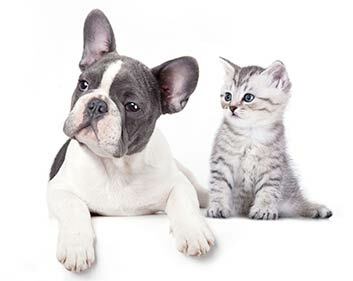 Cat litter boxes are provided and emptied and cleaned once in the morning, then spot cleaned throughout the day as needed. 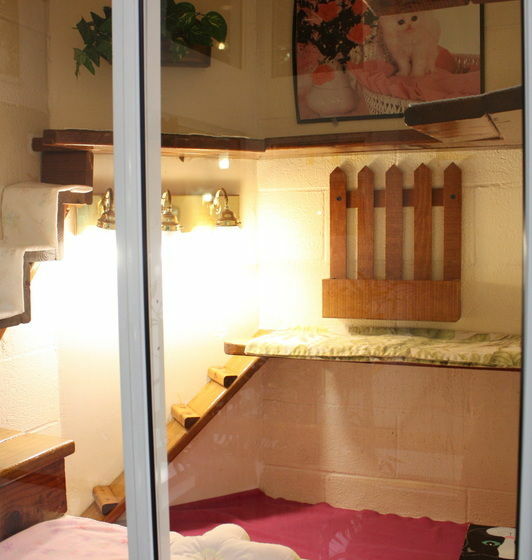 Large penthouse and master suites are provided for families with two or more cats. 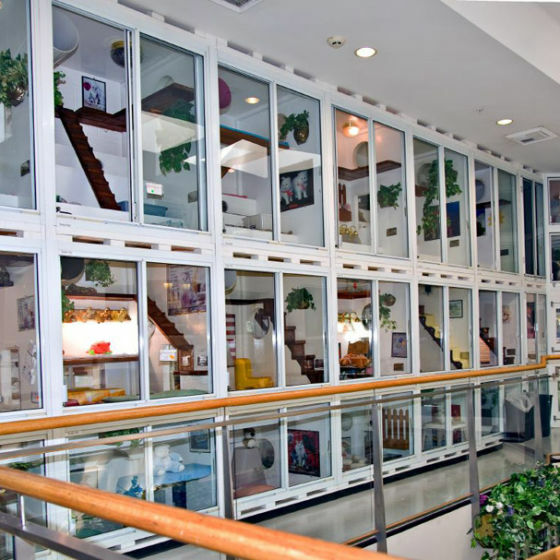 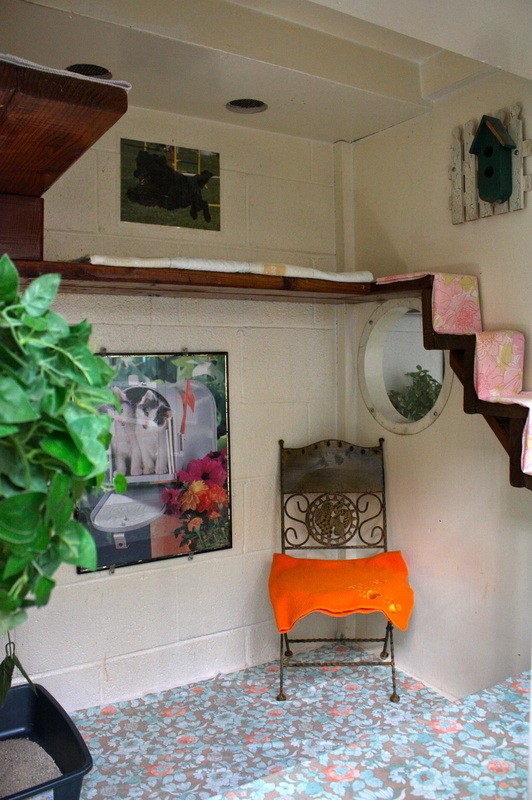 Most of these suites sit high above the others, allowing your cats a bird’s eye view of all that is happening below.These suites include stairs and ledges for your pet to explore. 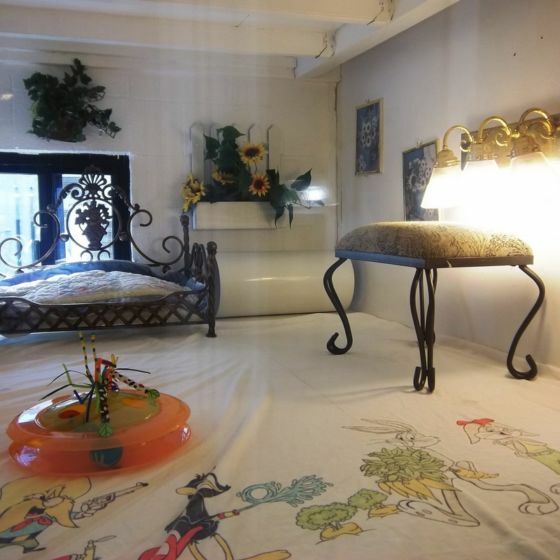 We also have some Master Suites tucked upstairs that offer a more private and quieter stay. 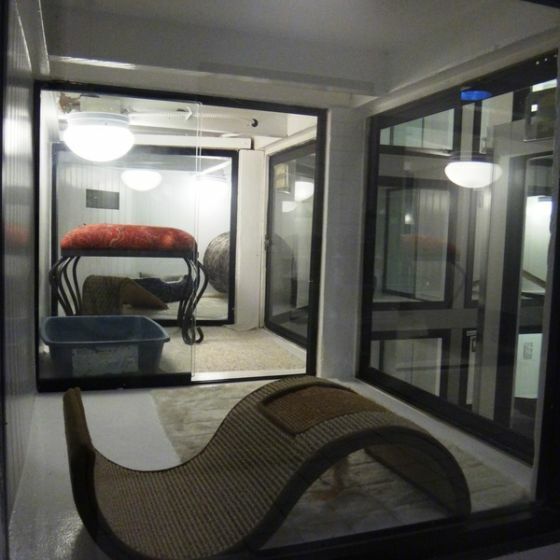 With the same amenities as the Penthouse suites, our Deluxe suites are designed for single occupation. 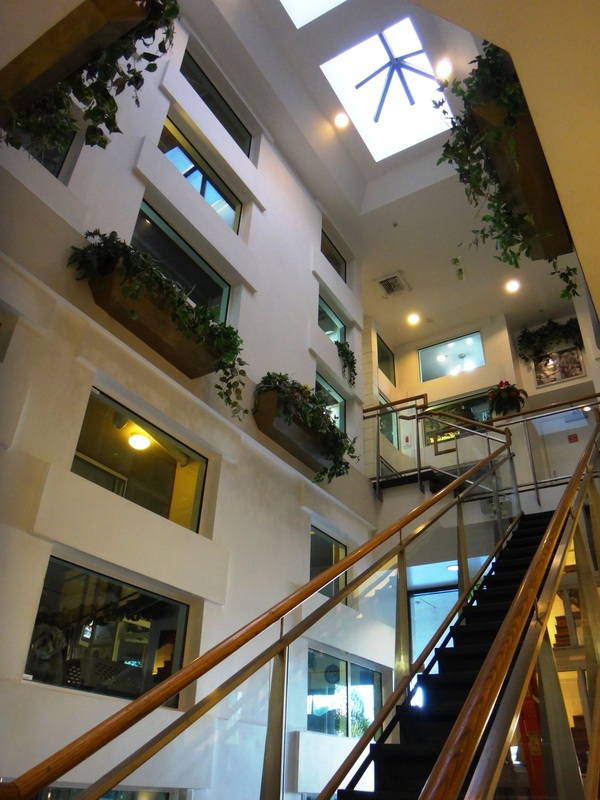 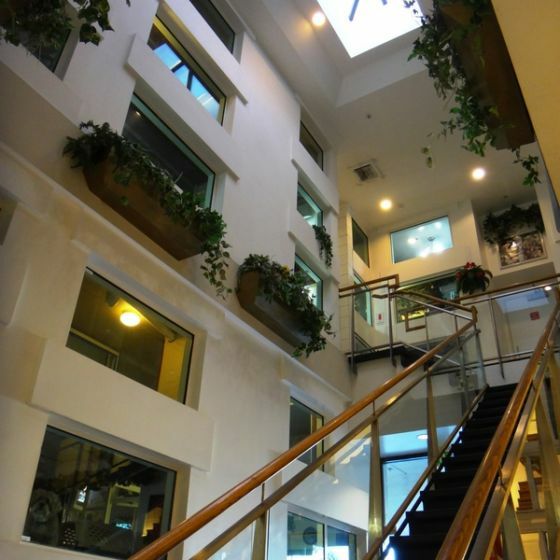 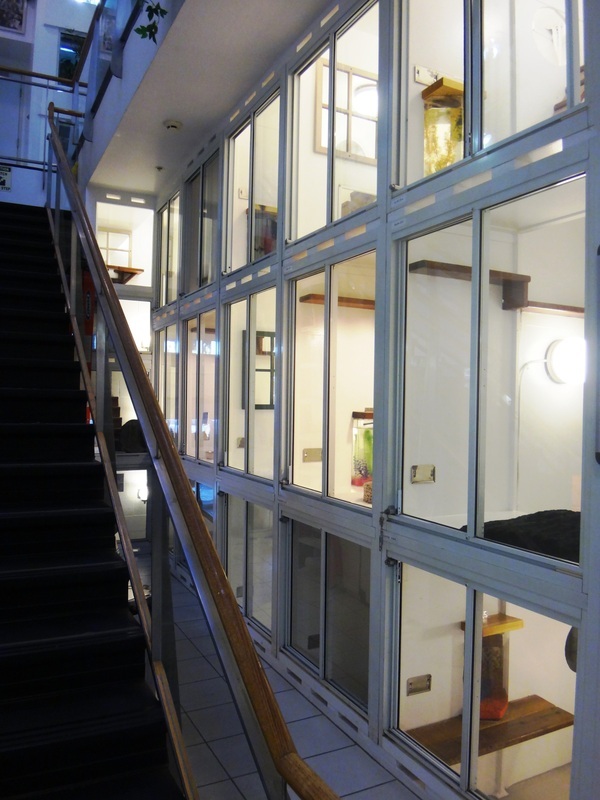 Although smaller, these suites are the same height which allows for stairs to climb on and ledges to explore. 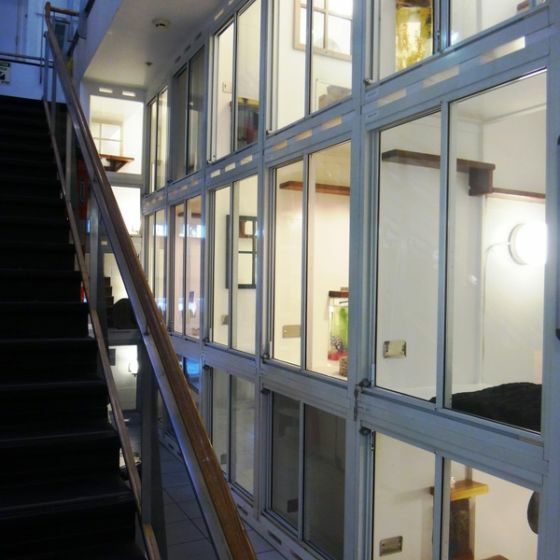 Deluxe Suites are available both upstairs and on our ground floor. 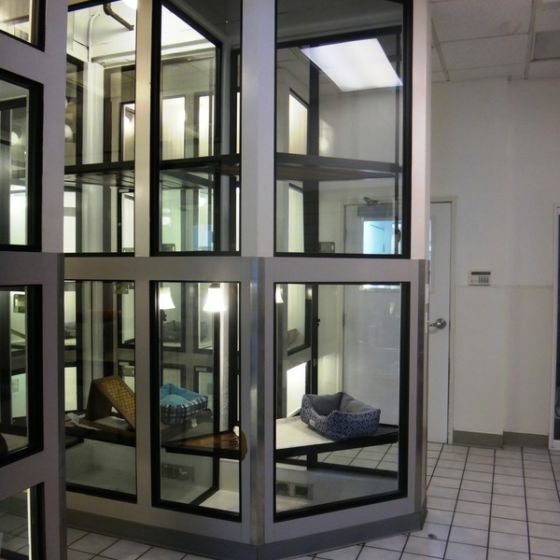 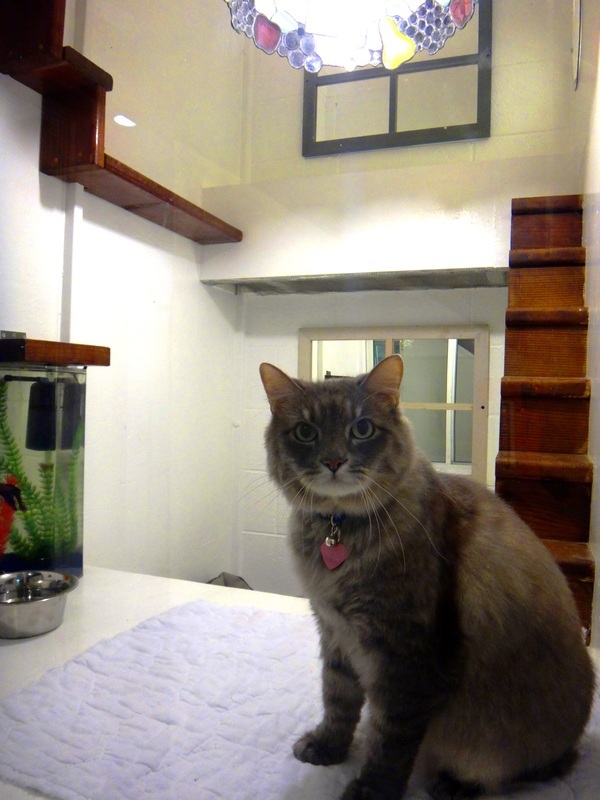 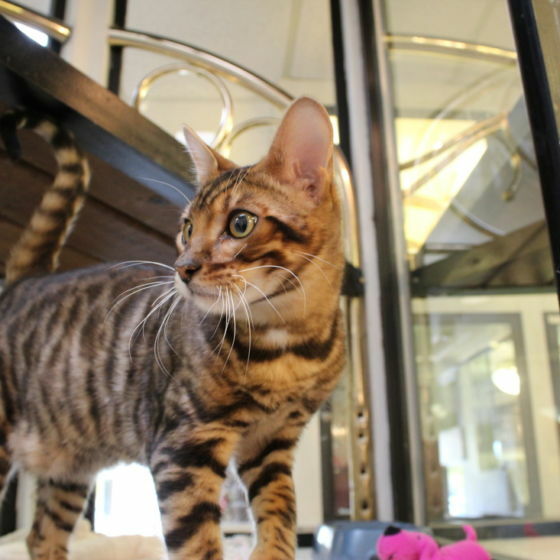 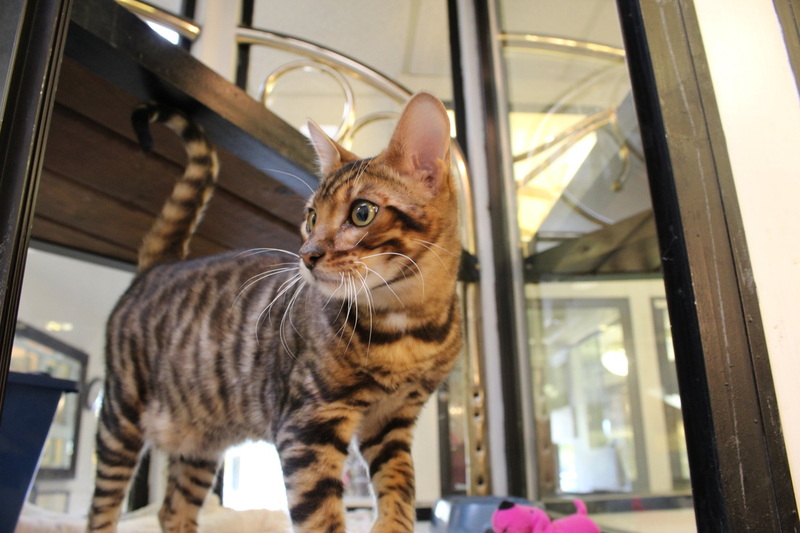 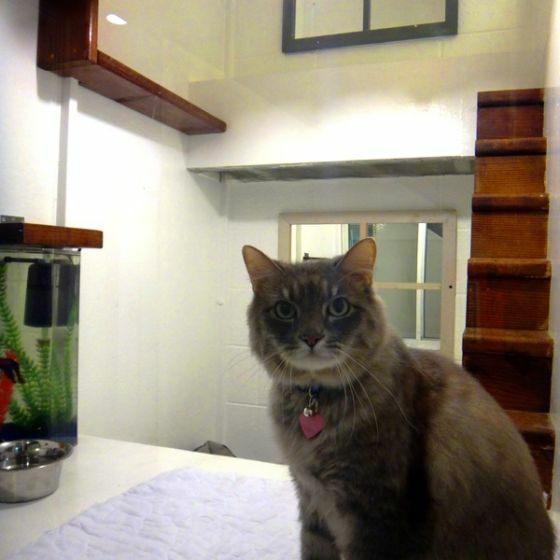 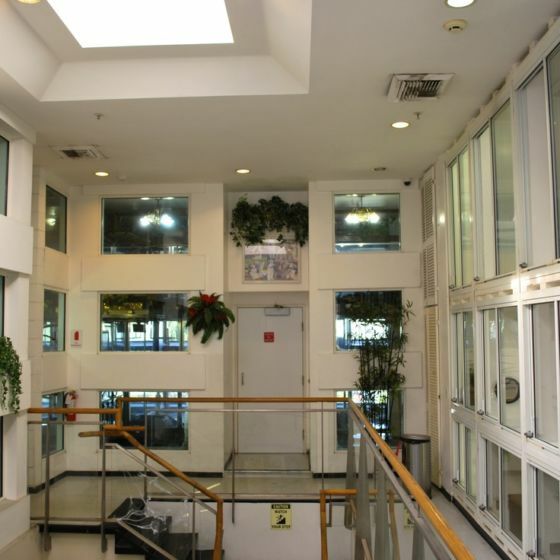 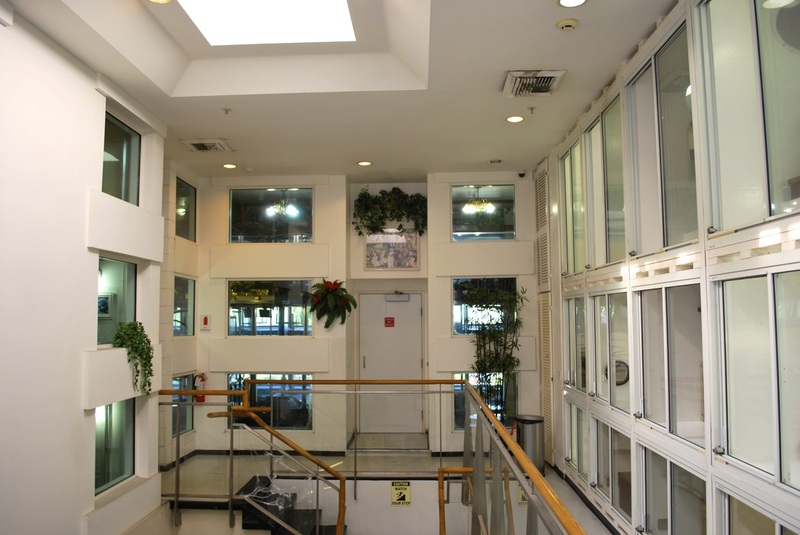 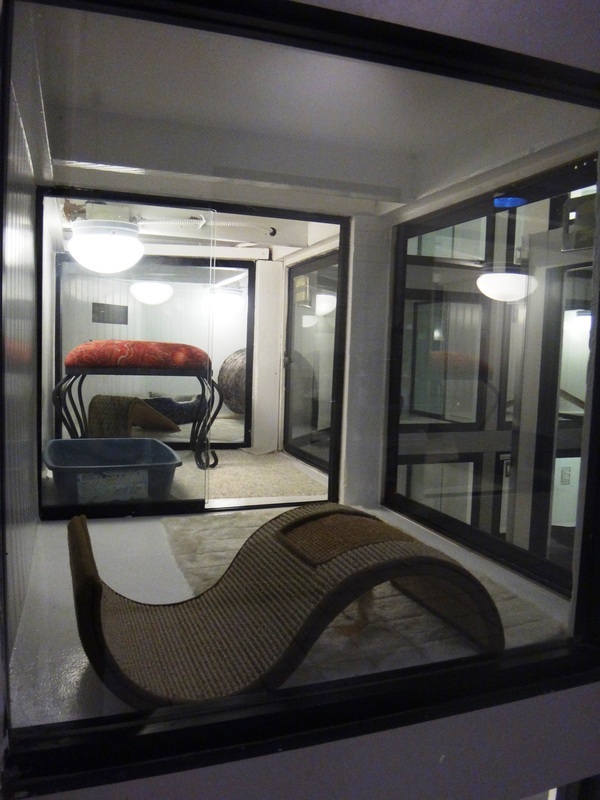 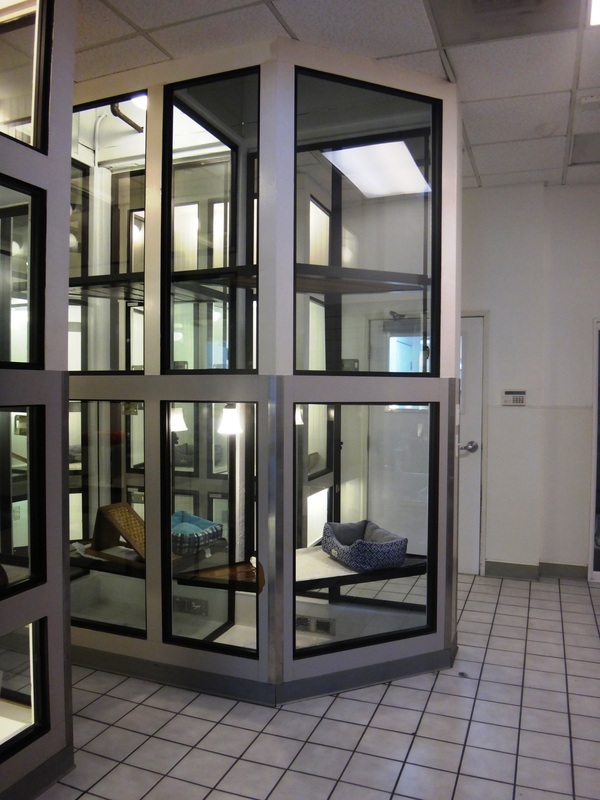 Our Mini cat suites are single-level glass enclosed suites located directly behind our grooming room. 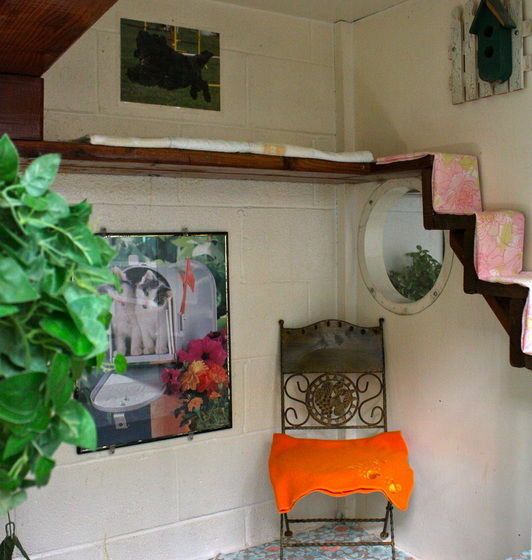 These cozy suites are ideal for senior cats with a little less energy. 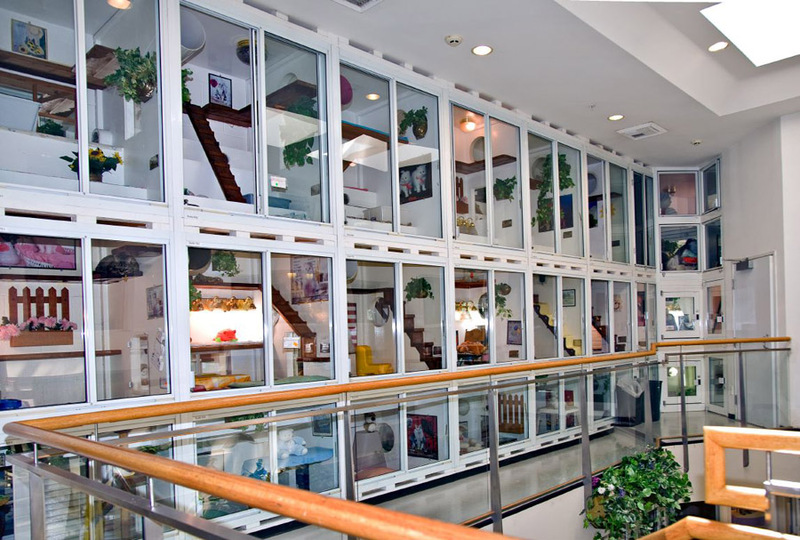 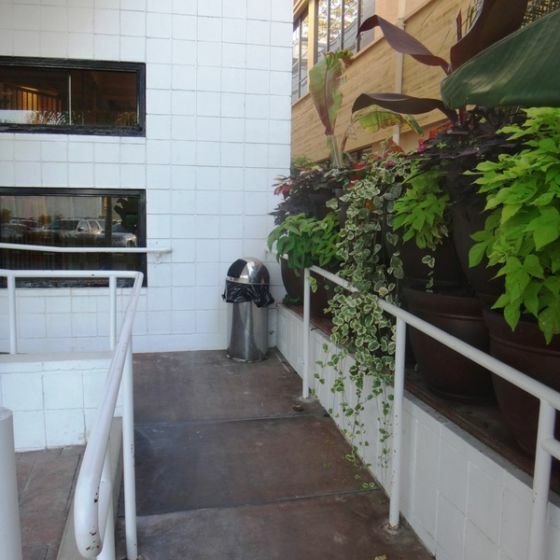 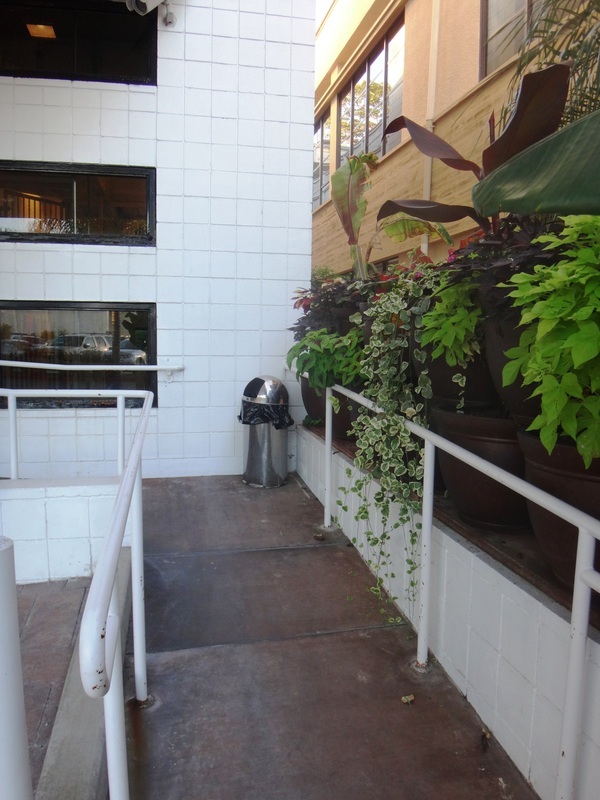 If you are worried about your pet climbing onto high ledges, these suites will be the safest choice.